Best Kodi Addons :- “One of the must have application for extended media streaming…” as reviewed by millions of users across various platforms, kodi is undeniably the ultimate entertainment center. Kodi can perform the work of at least 10 applications put together. With high ratings and good reviews, kodi is now marching faster towards the peak. But what is kodi actually? Kodi is a free and open source media player application and entertainment hub developed by the XBMC/Kodi Foundation. Kodi is almost available for all the platforms like Windows, iOS, OSX, Linux and Android featuring a 10 foot user interface for use with television and remote control. Kodi can run on Smart TV, set top boxes, hotel television system and Raspberry pi too. Kodi can be used on fire stick/TV and chromecast also. Kodi has the most friendly user interface that anyone can use with ease. 2 What does kodi do? 3 How is kodi different from other apps? Kodi/ Xbox media center (XBMC) is the successor of popular Xbox media player. It was initially released on 2002 as Xbox media player. Then Kodi was released on 29th June of 2004. This version of kodi has a lot of bugs and has only less features. So the developers worked constantly on developing kodi with many features and adding stability to the software. After heavy research and many troubles, the stable version of kodi was released on 29th September 2006. From then, kodi has got many updates. The latest version of kodi is krypton v17.3 and is running smoothly on various platforms. Kodi lets you to play movies, music, TV shows and other digital media files from local and network storage media and the internet. You can play any media files from your system storage, external storage and internet. Best Kodi addons are created by users and developers, which are developed for a specific purpose. Kodi is highly customizable, which is the factor that makes kodi distinguishable from others. How is kodi different from other apps? Kodi is available on 75+ languages, which is a great deal. This proves that kodi is available worldwide and used by millions of people across the world. You can avail all your services from your region on kodi. Kodi has the potential to act as a OS at times. It can perform shut down, hibernation, suspension and can shut down on timer call. 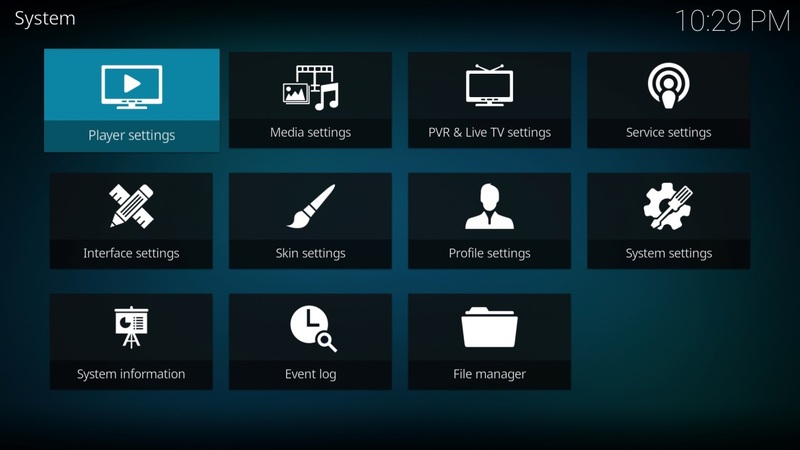 Kodi has the option of adding many profiles. So many users can use kodi on a system along with the owner. Kodi does provide an in built search engine to search videos from Youtube, the moviedb, add-ons and local library. Kodi provides the associated results depending on the region and language. You can absolutely search for anything on kodi. With huge range of add-ons, you can expect any type of videos to be stream able. Kodi does provide a lot of settings that you can alter based on your needs. Kodi also has the lock functionality with which you can lock your kodi app. Kodi can automatically categorize the media files from your system as movies, music, TV shows, music videos and many more. It also provides a favorite section where you can add all your favorites from various platforms. Kodi can work in different screen size like 4:3, 16:9, full screen and also can be customized to your needs. With the user friendly interface, cross platform functioning and highly customizing behavior, kodi is the reliable media center for your system. You can find some interesting features of kodi below. Though some of these features are available on other applications, you will experience the difference once you start using kodi. You will come to know the salient features of kodi then. Fusion Kodi is another best Addon that you can install on your device. Kodi can support all formats of music including mp3, flac, wav, m4a, wma and much more. It also has cue sheet, tag reading support and smart playlist for ultimate control of your music collection. The music library automatically downloads the media cover and collects the information of the media. The smart playlist is created with the data from the kodi metadata databases, which is really awesome. You can import photos from your system and can view it in kodi. It supports all formats of digital pictures/images. You can start a slideshow, and sort or filter the pictures on your need. Kodi can handle zip and rar comic book archive files, that lets you view, browse and zoom the pictures of comic pages. Kodi supports Live TV and electronic program guide. It also has a digital video recorder feature with the Personal Video Recorder (PVR) front end. PVR supports recording video to the USB flash drives or hard disks and playing back from them. Check the compatibility of your device for PVR in the kodi site. You can use 123Movies Proxy sites as an alternative. There are several add-ons available for the web interface. With the help of it, you can access the media library running on your television from your computer too. You can also access it with your android device or remote too. Kodi also has the access for UPnP and DLNA through which you can stream media from your computer directly on your tv if they are configured. The procedure for connecting them via UPnP/DLNA is very simple and you can learn about them in kodi website itself. You can change the skin on kodi if you wish. There are several add-ons that provide you with different skins and interface that are really attractive. Users can even create their own skin. This is one of the most appealing features in kodi. There are some add-ons referred as builds which provide skins along with certain add-ons that add more features to the kodi. Kodi also has a program add-ons section where you can run python scripts that lets you to install certain add-ons that can be used to customize your kodi. It also supports reading books online or from your collections. There are add-ons available to ensure the proper functioning and manually removing the redundancies. With the help of PVR you can even access radio. Depending on the region and language it can automatically adjust the settings and provide you with radio channels from your regions. You can feel the fine-tuned radio experience with kodi. We have seen many features that kodi provides. There are some third party add-ons associated with pirated contents available on kodi, on which the developers are working constantly to eradicate them. 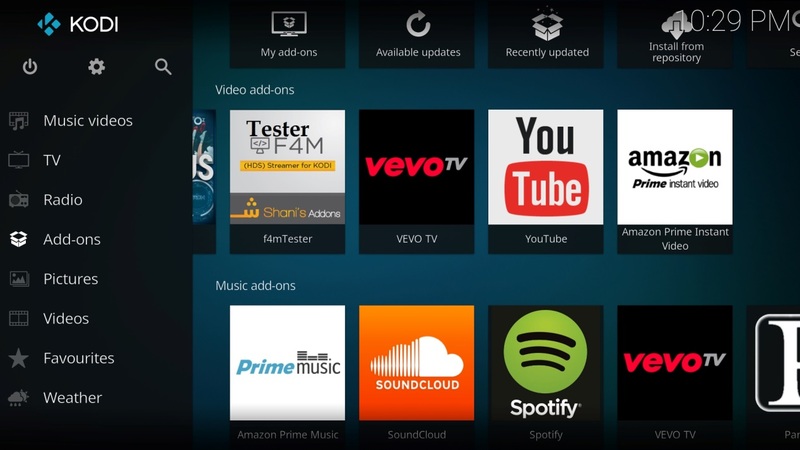 With every update they are adding many features to the kodi, which attract the users around the world. Kodi also runs games but it is still under testing. The next version of kodi looks promising, supporting 64 bit processors and talks are there it will run on Xbox one too. Kodi is a huge community that provides a lot of add-ons and lets you even build one. Kodi also runs kodi forum where you can leave your questions, doubts and will be answered by the users across the world. For downloads and more info visit kodi.tv.